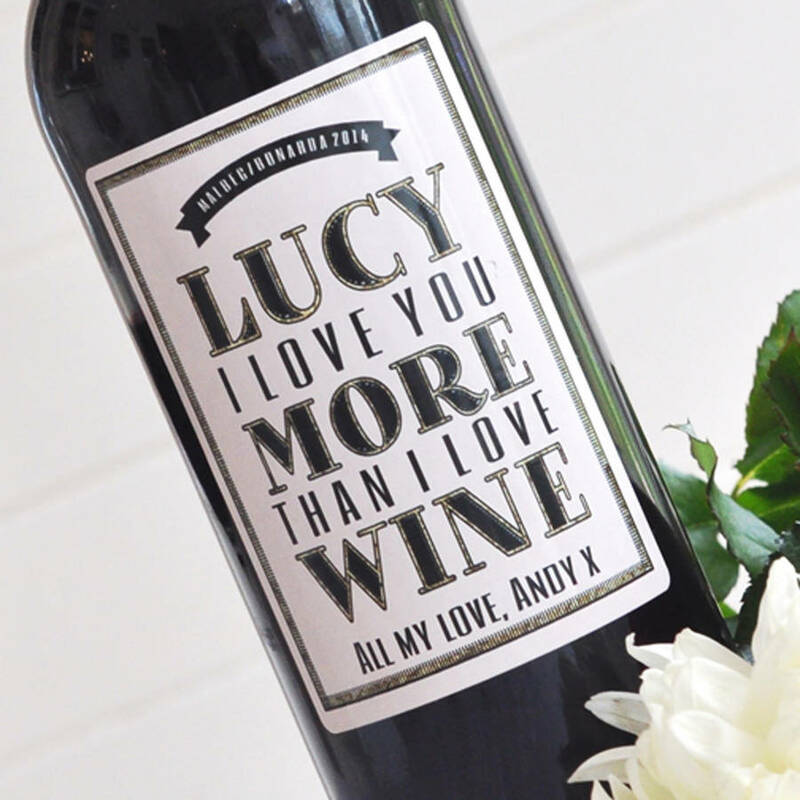 A unique, fun wine gift - an expertly selected personalised bottle of wine, with a humerous label designed by an artist and personalised by you! 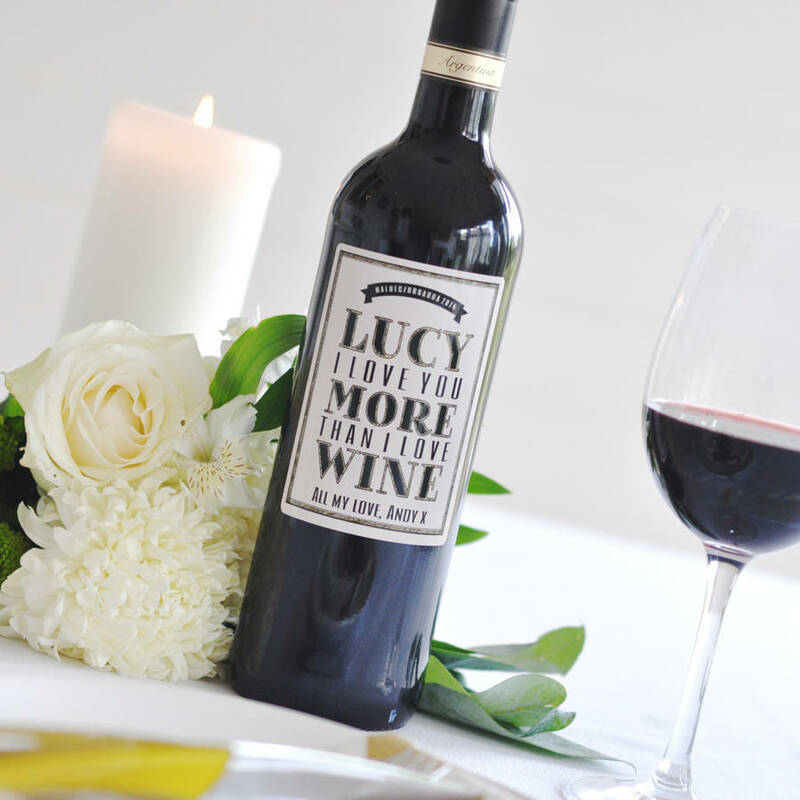 You love them, you love wine. Say it like it is. Our personalised label combined with any one of our premium wines makes the ideal gift between wine lovers for Valentine's Day or any romantic occasion or anniversary. 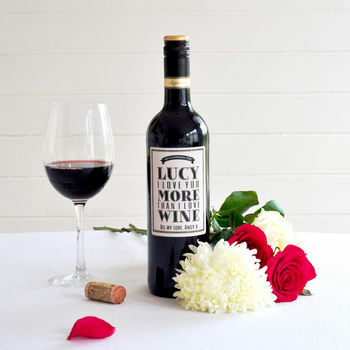 Personalise your unique Valentines wine gift now! 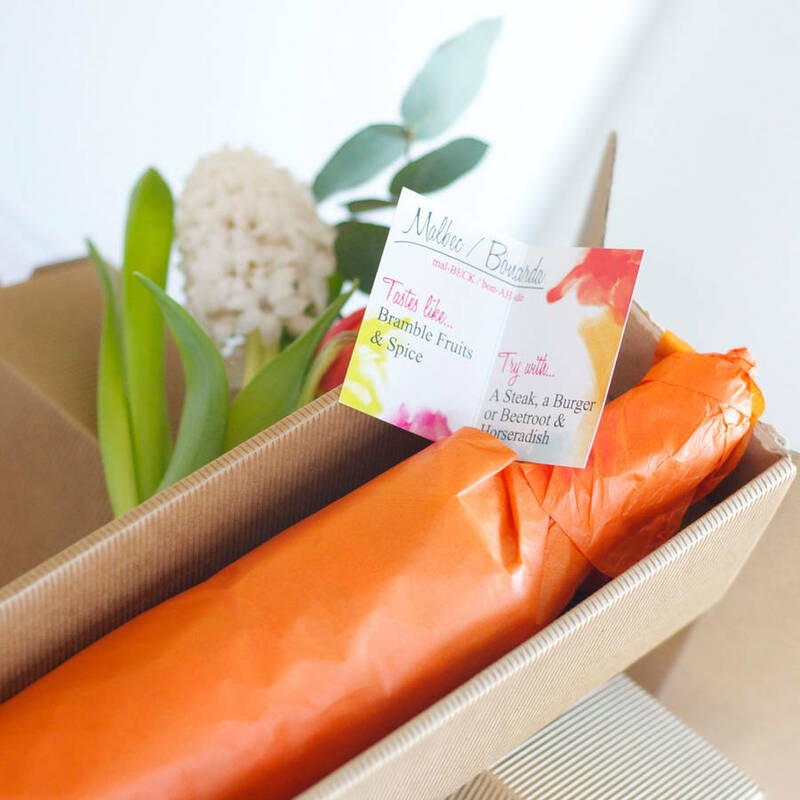 All our wines come beautifully tissue wrapped and gift boxed with a small tasting note card. 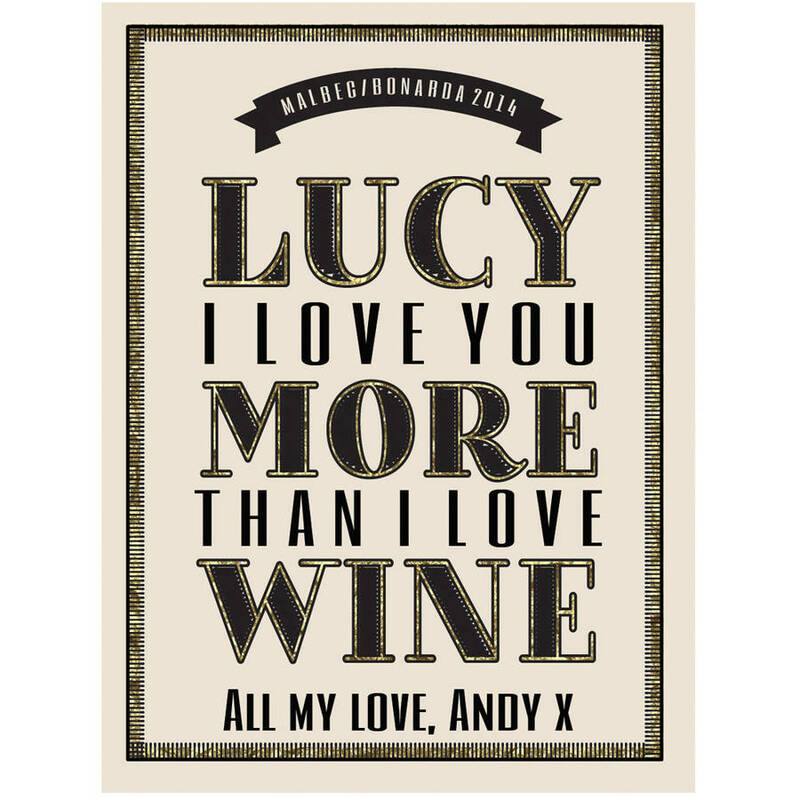 The label template can be personalised, enter the name and message you'd like, as per the label design, please note the main text "I LOVE YOU MORE THAN I LOVE WINE" is not editable, only the bottom message. Malbec, France: Tastes like: Blackberries, violets and milk chocolate. Try with burgers, chops or seared tuna. Alc: 13% vol. Organic Rioja, Spain. Tastes like: black cherries, a little pepper and some gentle spice. Try with tapas, chops, casseroles or manchego cheese. Alc 13.5% vol. Malbec wine: Made from Malbec grapes. This product contains sulphites. This product is suitable for vegetarians and vegans. Pinot Grigio wine: Made from Pinot Grigio grapes. This product contains sulphites. This product is suitable for vegetarians and vegans. Pinot Grigio Rosé wine: Made from Pinot Grigio grapes. This product contains sulphites. This product is suitable for vegetarians and vegans. Rioja: wine made from organically grown Tempranillo grapes. This product contains sulphites. Sauvignon Blanc is made from Sauvignon Blanc grapes. Suitable for vegetarians. This product contains sulphites. Provence Rosé is made from organic Grenache, Syrah, Cinsault, Mourvedre grapes. This product contains sulphites. Please note vintages may not be as per photography. We always sell current drinking vintages. If you would like to check the current vintage please send us a message. 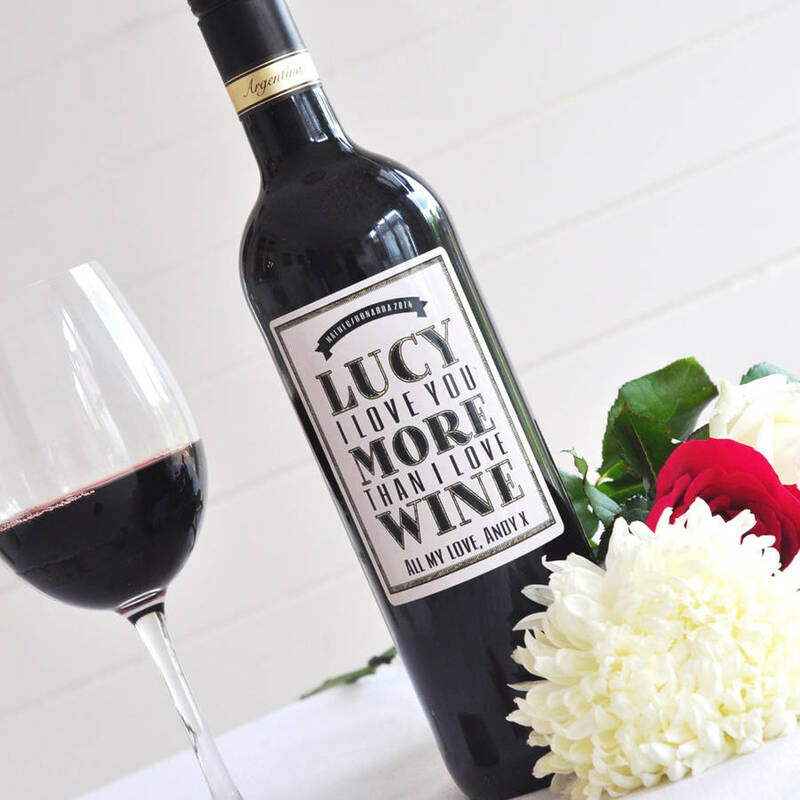 All wines come in a glass bottle and with gloss label. This product is dispatched to you by BOTTLE BAZAAR.